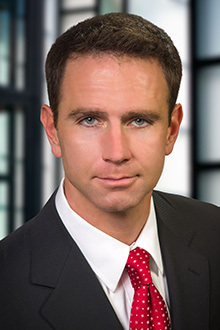 Daniel Floyd is a partner in the Atlanta office of Lewis Brisbois and a member of the Transportation Practice. Mr. Floyd has significant trial experience in both state and federal court. His practice focuses on Transportation matters involving Aviation, Cargo and Motor Carrier and Broker liability as well as products liability, general liability, insurance coverage, including first party coverage disputes, suspicious losses, and major casualty disputes. In addition, Mr. Floyd serves as a regional counsel coordinating the defense of trucking liability claimants throughout the country. Mr. Floyd is an experienced member of the firm’s Catastrophic Accident Response Team (“CAT Team”) which is staffed 24/7, 365 days per year. Working with a team of experts and investigators, numerous clients rely on his expertise to direct the CAT Team’s early investigation and to manage large claim exposure through trial for catastrophic and fatal injury claims as well as Cargo claims ranging from Carmack and COGSA issues to Household Goods and Theft claims. Mr. Floyd has frequently spoken and written on various legal issues involving pre-suit investigation, litigation and trial techniques. Mr. Floyd has successfully defended clients throughout Georgia, South Carolina, North Carolina, West Virginia, Pennsylvania, New Jersey, New York, Indiana, Kentucky, Tennessee, Alabama, Florida and Texas. He frequently acts as direct lead defense counsel through case by case admissions and as Oversight Regional Counsel in tandem with local counsel when needed, to achieve great results for his clients at all state and federal levels throughout the country. Correspondingly, Mr. Floyd has been asked to appear by clients on Defense Counsel Panels in numerous states to discuss safety prevention and state specific case handling issues to in-house employees and external adjusters and insurers. Mr. Floyd represents several individuals as well as Major National and Regional Motor Carriers for interstate, intrastate, intermodal and rail issues , General, Commercial and Automotive Insurance Carriers and Third Party Administrators in developing strategies for reducing costs for programs, safety and defense of claims.